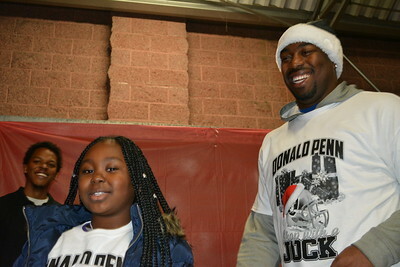 Raider's Keith McGill and EOYDC participant Morris Jackson. 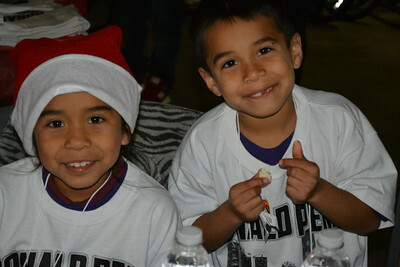 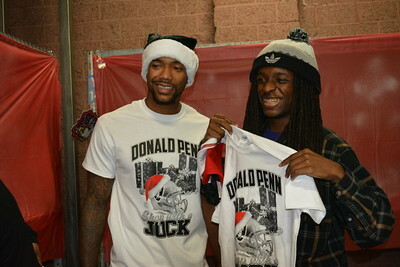 J'Marcus Webb and Gabe Jackson wait in line to purchase EOYDC participants gifts. 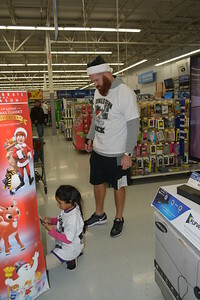 Lee Smith helps an EOYDC participant find a toy. 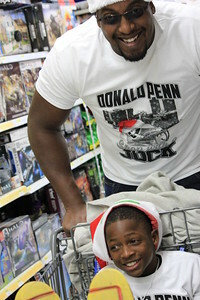 Stacy McGee walks the aisle with a lucky shopper. 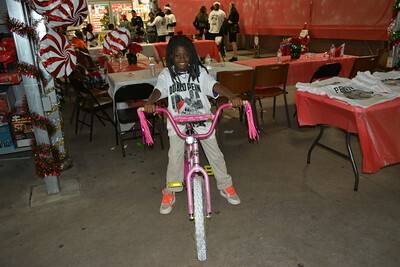 Raider's J'Marcus Webb pushes a happy EOYDC participants down the aisle. 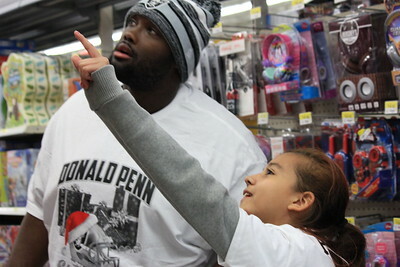 Raider's Rodney Hudson helps an EOYDC participant find the perfect gift. 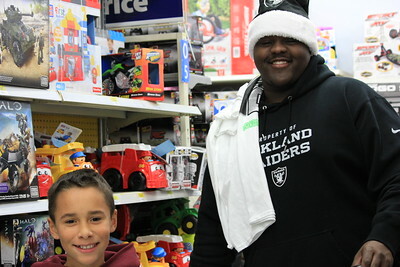 Raider's Mitch Bell poses for the camera with an EOYDC participant. 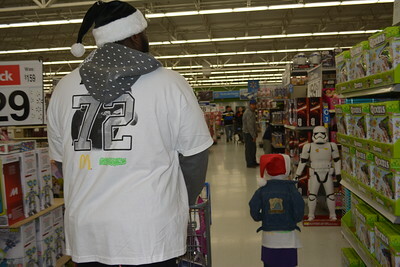 Raider's Menelik Watson helps an EOYDC participant search for a new video game.